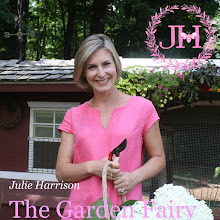 Julie The Garden Fairy: Pile It On! Worried that all of the snow this winter will hurt your garden? Don't! The snow is a gardener's BFF- that's Best Friend Forever- when it comes to the cold winter months. Snow acts like a thermal blanket, protecting the branches and especially the roots of your perennial plants. The snow keeps the cold out and traps the thermal energy of the earth underneath. Cold temps without snow is another story, but let's stay positive and think snow, snow, snow this winter!